Ahmad and Harris Dismissal Two Months Too Late? Esa Ahmad and Wesley Harris have been the problem all along. After each loss this year Bob Huggins would grumble about these mysterious few upperclassman that just wouldn’t buy in to his system. He didn’t name them but it was glaringly obvious who it was. They didn’t get into the gym early, they played selfish basketball, they were, in short, a huge disappointment. Particularly Esa Ahmad. But he stuck with them. 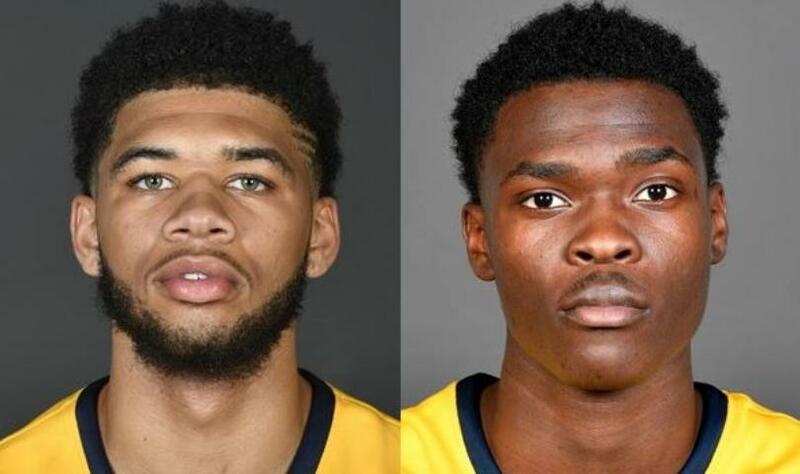 Rather than developing young, hungry players like Trey Doomes and Emmitt Matthews Jr., both potential major contributors in the future, Huggins was a glutton for punishment and kept playing them. Each game he saw (we saw) the same issues with this team and for some reason nothing changed. Esa Ahmad continued to get the ball at big moments, Wesley Harris continued to make selfish plays and the team had ongoing struggles as the losses stacked up. Huggins’ move to permanently remove them from the team came two months too late. Bob Huggins is one of the best to have ever coached college basketball, but this season is absolutely puzzling. Obviously we don’t get to see what happens behind the scenes and in the locker room, but what led him to continue to go back to beating the same dead horses is difficult to understand. Esa Ahmad, among the most disappointing players in WVU history in terms of fulfilling potential, would never be the Senior leader that the team needed. Once that was abundantly clear (and really, wasn’t it obvious all season long?) that idea should have been immediately blown up. Seniority doesn’t always mean leadership, particularly when dealing with 18-22 year olds. You would think that Ahmad would have picked up something from four years of playing under Huggins and playing alongside the likes of Jevon Carter and Daxter Miles, but it never happened. Likely, Ahmad’s frustrations of not ever living up to his hype boiled over. Not only was the team not winning, he was not succeeding in his role as the go-to player on the team. His passing aspirations of playing professional basketball were declining each game, each loss, each time he stepped on the floor, and he needed someone to blame. I’m sure he blamed Huggins for his failures. Huggins demanded too much of him, wanted him to be someone that he wasn’t, etc. Wesley Harris is a hothead. Over the summer, he was arrested for battery and destruction of property during a road rage incident. He was also reprimanded by the Big 12 Conference last year after striking a fan following Texas Tech’s 72-71 upset of West Virginia in Lubbock. Any chance that he got to throw hands with an opponent during his career, he took it. The wording of the press release from West Virginia University was odd. “Both players have been dismissed from the team for a violation of athletic department policies.” Nothing illegal took place here. Both players are still enrolled in classes. Huggins simply wanted to move on, and he finally did what he had to do, what he should have done over two months ago.